Build your website on Solid ground. 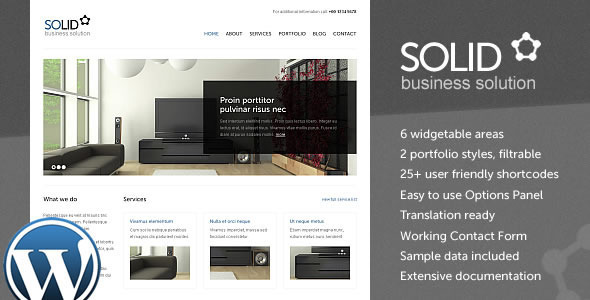 This theme, called "Solid," has 6 widget areas, 2 portfolio styles, shortcodes, an options panel, translation compatibility, and a contact form. It falls into the minimalist category and has a clean appearance. The author named in the theme details bears the copyright to the theme.